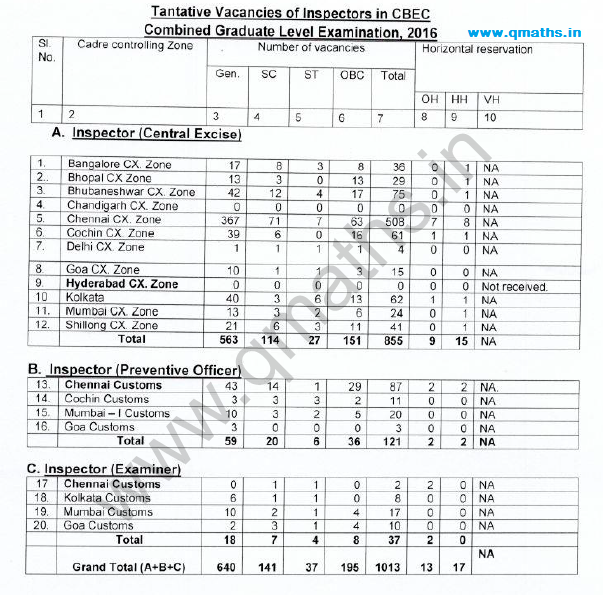 In this post we are sharing RTI Reply regarding Vacancy in CBEC Posts through SSC CGL 2016 Recruitment. 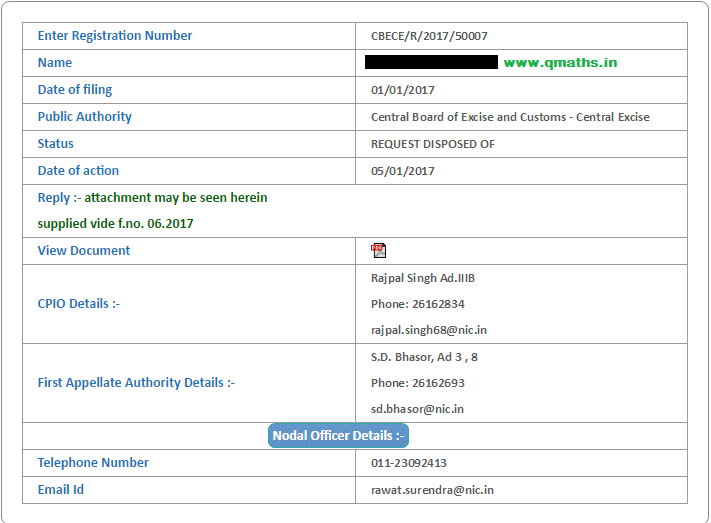 This RTI was filed by our Friend and Qmaths Follower who wants to remains anonymous, but credit goes to him. This RTI Reply has been received on 05-01-2017. 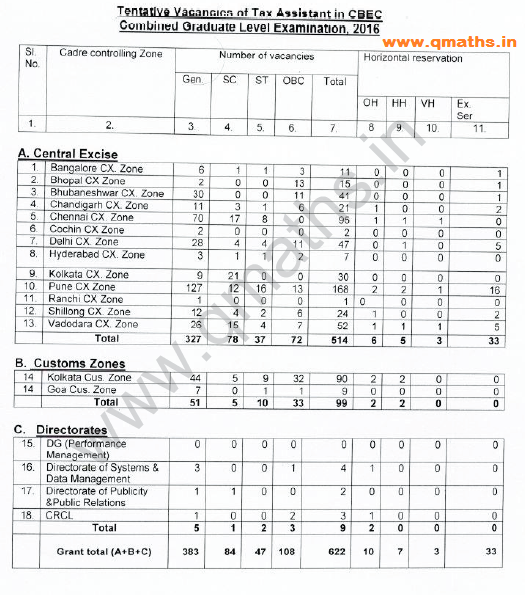 This Vacancy Report is same as available in SSC official website. Zone-wise Details may be downloaded from the link provided below.